Similar to Playa El Bollulo and Playa Los Patos, Ancon beach is situated close to Puerto de la Cruz in the area known as El Rincon. Getting here is not easy, so it’s an ideal place for anyone looking for some privacy. Situated in the Orotava valley, in order to get to the beach you have to follow the TF-31 road, looking for the signs towards El Rincon and Playa Bollulo. You will have to continue descending on the main road until you get to an intersection where the asphalt does not continue anymore. You should see a bar called San Diego. Following the road that leads to the right you will go towards Playa El Ancon and Playa Los Patos. When you get to the end of the road you should see other cars parked and a small trail that goes to the beach. The walk to the beach should take around 20 - 30 minutes. Similar to other beaches in this area, Playa El Ancon has no amenities like sunbeds, umbrellas, showers or toilets. There are no lifeguards on site, so you should be careful while going in the water. It is best to come here during low tide, when you can make the most of the entire width of the beach. El Ancon beach is popular among nudists, due to its isolated location and difficult access. The occupancy is low all year round and usually there are less people here that at Playa de los Patos. There is no bar or restaurant nearby, so snacks and water are a must if you want to spend the day here. Keep in mind that the north coast of Tenerife is more dangerous for swimming due to stronger currents, so you should take extra care. Usually at low tide the ocean reveals tidal pools where you can safely enjoy the water and cool down after a day of laying in the sun. 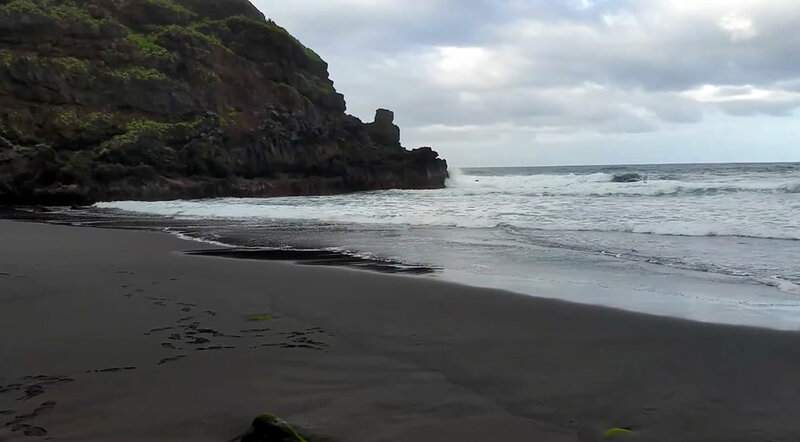 Although close to Puerto de la Cruz, not many people know about these secluded beaches, so on most days you will have them all to yourself. Remember that the access to Playa El Ancon is somewhat difficult and you will have to do some hiking, so comfortable shoes are a must (no flip flops).